Aging can be a cause for concern for mature women. The fear that comes with aging is a leading cause of anxiety. So many questions that need urgent answers, like; how will my face change? How will my body look? How will my skin adjust? Ever heard the phrase “black don’t crack?” Well, for these African-American women, aging is just a faraway concept in ‘Never-land’. So get inspired and send fear running! At 53 and after 8 years in the White House as the First Lady, inspiring women and young girls across America, Michelle stays fabulous no matter the occasion. She has managed to keep that gorgeous glow regardless of the presidential stress and duties while remaining a loving mother and wife. Remember Mrs. Huxtable from The Cosby Show? Well here she is at 68 looking as graceful as ever. Phylicia has remained young and beautiful over the years looking amazing with little or no effort at all. She is the definition of age-defying and looking stress free. It is incredible to believe that Diahann is 81 just by her looks when she does not look a day over 40. She made history by being the first black woman to star in her own Tv show Julia and has been a major inspiration for Barbie dolls. As a breast cancer survivor and activist, Diahann continues to exude elegance and grace anywhere she goes. With the fashion sense of a goddess, Diana shines at 73. She brings an undeniable presence to the room and has the elegance to leave everybody speechless. And let’s not forget her amazing voice which gave her a place in the hearts of many. This list will not be complete without mama Cicely. Known for her great quality motherly roles in movies like The War Room, Cicely remains a show-stopper at 92. She is the poster girl for amazing genes and aging with grace. This former beauty queen is the epitome of beauty at 54. Vanessa has shown she is not just about beauty and gone on to become a successful entertainer with her albums and acting career. She remains an inspiration and a rare gem to look at. Iman is grace in itself at 61. She is defying all aging logic and calculations to remain a goddess in her prime. She is a globally-recognised model and entrepreneur. She is also known for her philanthropy. Her face is a household name for fashion and beauty cosmetics. Oprah has created a niche for herself as a talk show host, actress, producer, entrepreneur and philanthropist all at 63. 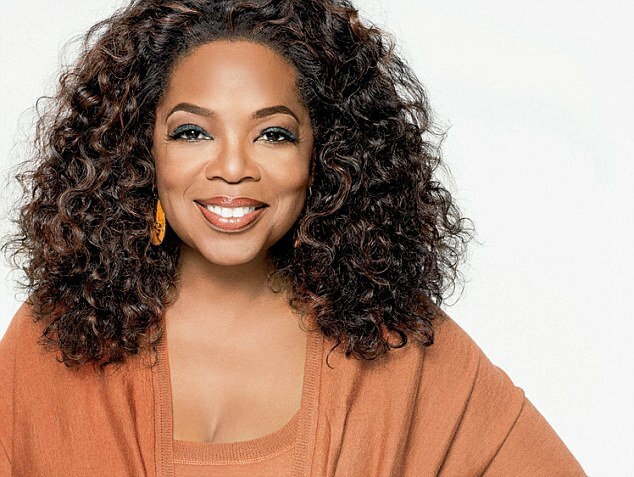 She has been named the richest Black American woman and known for her focus on self-improvement and spirituality. Debbie remains a charming style icon at 67 with that vibrant smile that can light up any place. Younger sister to Phylicia Rashad, Debbie is a multi-talented woman with a successful career in acting, choreography, directing and production. She inspires confidence in women all over America while aging like the finest wine in the land. Tina is a 63-year old fashion designer and business woman known as the celebrity mom to singers Beyonce and Solange. She is famous for her House of Dereon collection and Miss Tina fashion brands. She has stayed on top of the fashion game while looking gorgeous at every single turn.